CSXT GP40 6607, leads Rochester & Southern GP40 103 south to New Castle at Purvis Bros. Oil. The Zigzag — a daily CSX interchange train —usually runs at night, so this is a rare catch. 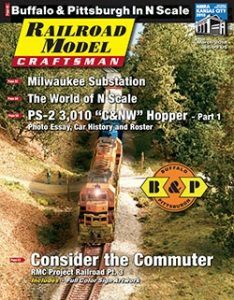 While writing this article, it occurred to me that I’ve been a model railroader, off and on, for more than 50 years! There must be only a few hobbies that hold our interest as long. My passion has grown stronger since I’ve begun building the Buffalo & Pittsburgh Railroad, and this is the story of the journey I’ve been on all these years. Like many boys my age, I was introduced to model railroading with the Christmastime Lionel set. 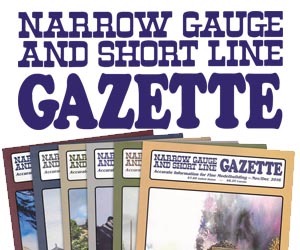 In my teens, I graduated to HO scale and began building the then-traditional 4×8-foot railroad on a sheet of plywood. This project was never finished because the hobby was put on hold for many years in favor of school, girls, job, and marriage. I got back into model railroading in 1986 prior to a move to Germany. In the 1980s, the prototype Class I railroads were trying to move away from loose car railroading in favor of the long-haul. Spin-offs, shortlines, and regional railroads were created as a result. I theorized a small branchline in my hometown of Butler, Pennsylvania, would be sold, and I based my fictional HO railroad on that guess. I was pleasantly surprised in 1988 when CSX sold the branch and more than 300 miles of main and branchline track between New Castle, Pa., (near Pittsburgh), and Buffalo, N.Y. The new owner, Genesee & Wyoming Industries, dubbed it the Buffalo & Pittsburgh Railroad. Buffalo & Pittsburgh 7803 and 3100 continue shuffling cars at WS Tower. WS was once a train order office; now it’s a hangout for maintenance-of-way crews. A family plays baseball in the background, totally oblivious to the train beside them. Upon returning to the States, I visited the Buffalo & Pittsburgh and was immediately enthralled by the wild mix of used locomotives in Butler Yard. I was struck by the yard’s compact size and maintenance facilities. After introducing myself to the Operations Superintendent, I was fortunate to receive a guided tour of the yard and an introduction to the Yardmaster. Their experience, obvious professionalism, and willingness to share their world with me convinced me I needed to scrap the fictional layout and model the B&P. Although I began building B&P structures in HO, it became obvious to me that a switch to N scale would allow me to model the B&P end-to-end. Like most modelers, a scale switch came with some trepidation. I reasoned the change would allow me to focus my purchasing on locomotives, cars, structures, and details that fit into the B&P scheme. I was lucky to find a stash of tracklists and switchlists in a phone booth at the East Yard in Butler, so I pieced together a picture of most of the cars moving through town. I took hundreds of pictures of the cars, locomotives, and structures in the area, which have guided my modeling efforts over the years. Rochester & Southern GP40 101 leads the northbound R-630 train out of Butler at a typical western Pennsylvania road crossing. It looks like the road crew is going to be working on that little mudslide real soon. 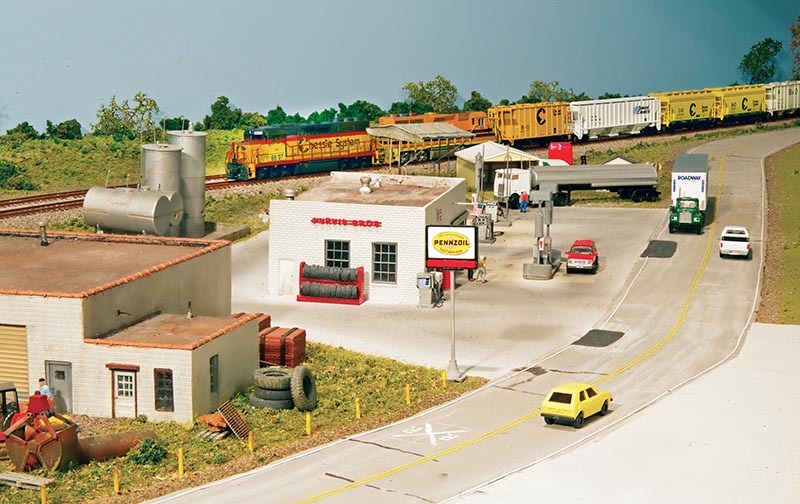 I recognized early on that the Butler Yard engine facility was small enough to model nearly full-length and that I wanted to include it no matter what layout I ultimately built. Thus, I began constructing an eight-foot section while living in Virginia. In 2007, I moved it to Kansas, bought a basement with a house on top, and began designing the B&P. The heart of B&P operations is at Butler, and I wanted to replicate this area as closely as possible. Interchange with Bessemer & Lake Erie Railroad was a significant source of traffic, and the double-track main line beginning south of the East Yard was used to inspect and break down the train that brought interchange traffic from CSX in New Castle. These two elements drove the placement of Butler Yard with the B&LE interchange passing through the wall into the finished part of the basement. I wanted to locate my workbench underneath the B&LE interchange, and the workbench height with room for storage on top dictated the height of the lower level benchwork. Other design factors I wanted to incorporate were the relatively short distance to New Castle on the south end, and a long run to Buffalo on the north end. I also wanted a scale-length depiction of the three industries on the Northern Subdivision (the original fictional spinoff I imagined). Borrowed Genesee & Wyoming MP15 46 couples onto an empty boxcar at Misty Hill Freight — a transloading industry in Butler. Power from any of the Genesee & Wyoming family of shortlines can appear in operation on the Buffalo & Pittsburgh. I used the entire lower level north of Butler for the Northern Subdivision and, using a helix, the upper level to represent the main line to Buffalo. Other mundane considerations drove the final layout design, such as wide aisles, access to the furnace and water heater, and a clear path to the laundry equipment. More important to me was a good representation of the industry trackage in the towns along the main line. Before I began building the layout, I recognized I needed to widen my perspective on modeling and relax my modeling standards — In other words, not be such a perfectionist. In HO, I tried to model well enough to survive close scrutiny. 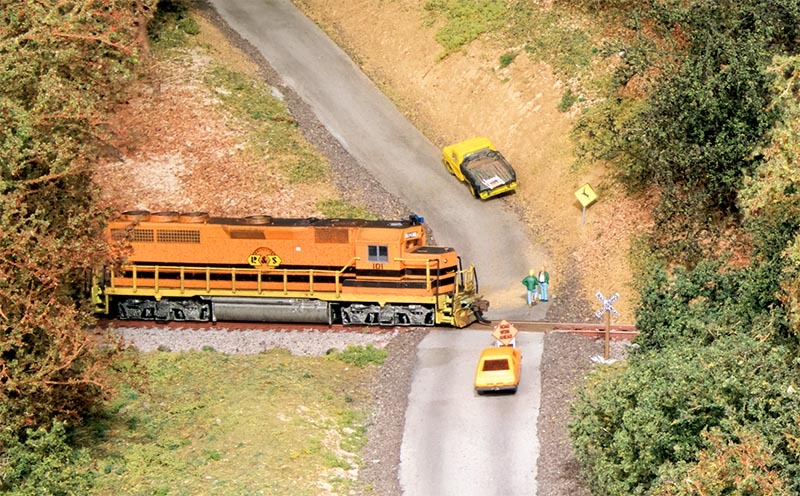 In N scale, I try to model well enough to look good from about three feet. I produced fairly good models in HO but not very many of them. I calculate I’ll eventually need about 800 structures to complete the B&P, so contest-quality modeling won’t get the layout done in a reasonable time. Another change in perspective I intentionally made was moving from a project management point of view to one that focuses more on the journey. Quality and cost are still important to me, but a schedule isn’t. Although tours and operating sessions provide an incentive and impetus to improve the layout, I don’t let them stress me out. Instead, every year I develop ten areas I want to focus on based on the skills of the crew, budget, and my desires at the time. In the early years, naturally they included benchwork, track-laying, and other basic tasks. 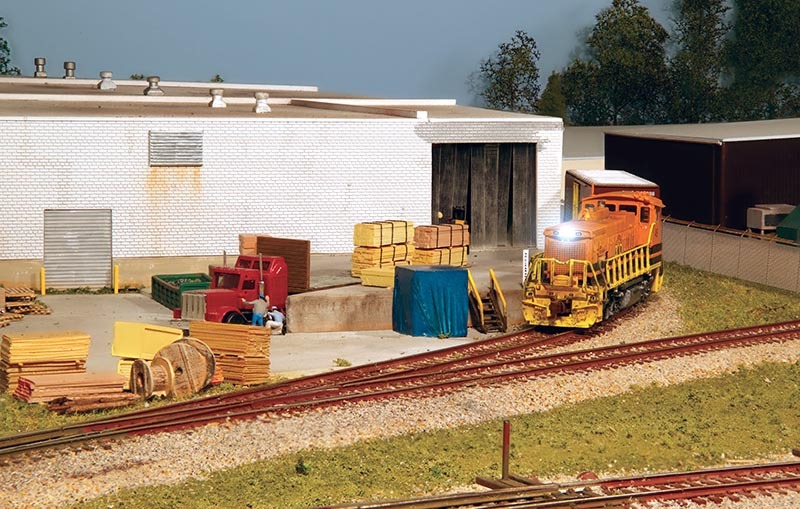 Currently, they include ballasting, structures, basic scenery, car weathering, and locomotive painting. In the future, I’ll probably have areas like signaling, animation, and scenery improvement. I’ve kept the focus on attainable quality and have purposely not developed a schedule for layout completion.